So back in February there was mention here of Goodnight, Sunrise by way of the band’s split single release with Gold Star and Liar Liar. 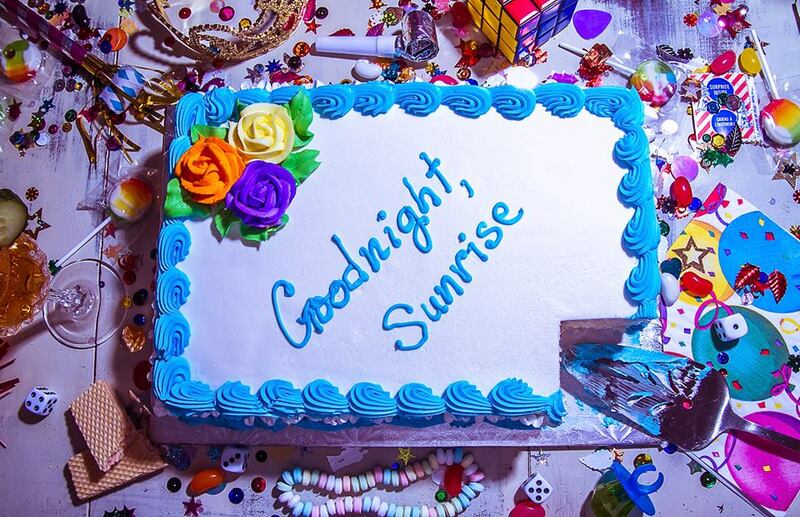 Both tunes now come with their own videos, using a keytar piñata amongst other party favourites to help give life to its quest of being a birthday party in a band for Liar Liar – complete with a fully eaten birthday cake. So since then, there’s been a new single called Deal With It, taking live show energy and dual male/female lead vocals in a song all about embracing confidence and taking control of destiny…even if it takes a costume or two. Word has it that the band’s second album will be out in 2016…stay tuned!